In this class you will learn how to do basic pattern alterations on several different pattern pieces. Ashley Hough will teach you how to alter shirt necklines and backs, shirt sleeve, skirts and pants. First, learn what tools you will need to perform these basic alterations, including marking pens and rulers. 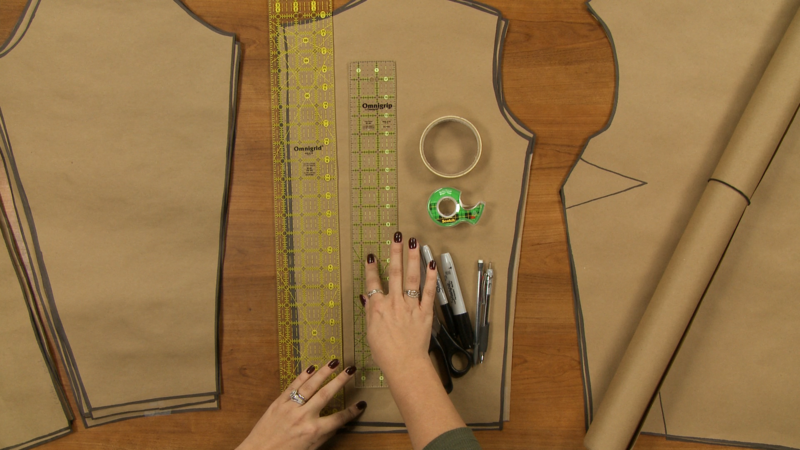 Ashley will then begin by teaching how to alter the neckline of a shirt pattern piece to make it smaller without changing the overall look of the shirt. While your shirt pattern piece may not look exactly like the one being shown, Ashley will show you how to adapt the alteration to whatever type of pattern you are using. 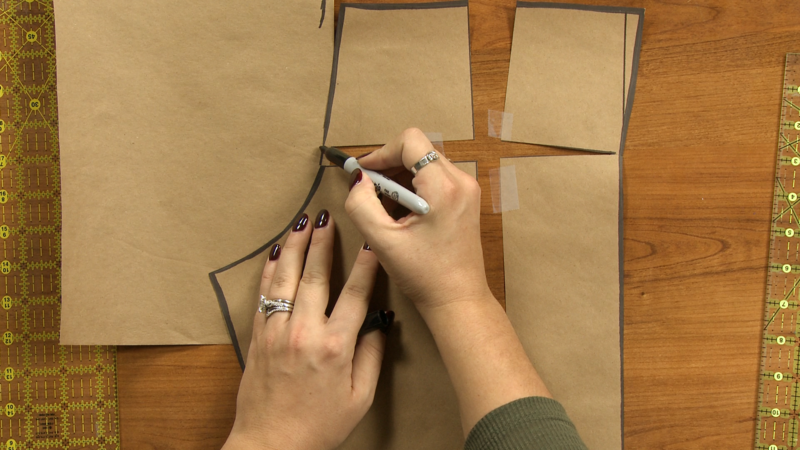 You will then learn how to make alterations to the upper back area of a shirt pattern piece. In the next session you will learn how to make several different alterations to shirt sleeves. These include how to make a sleeve larger or smaller in width along the entire sleeve as well as how to make adjustments for large upper arm areas. You will see how to make the adjustment to the sleeve pattern piece and then what adjustments need to be made so that the sleeve still fits accurately into the armseye. Next you will learn how to make alterations to a pencil skirt type of pattern to account for a large or small bottom and a larger abdomen. 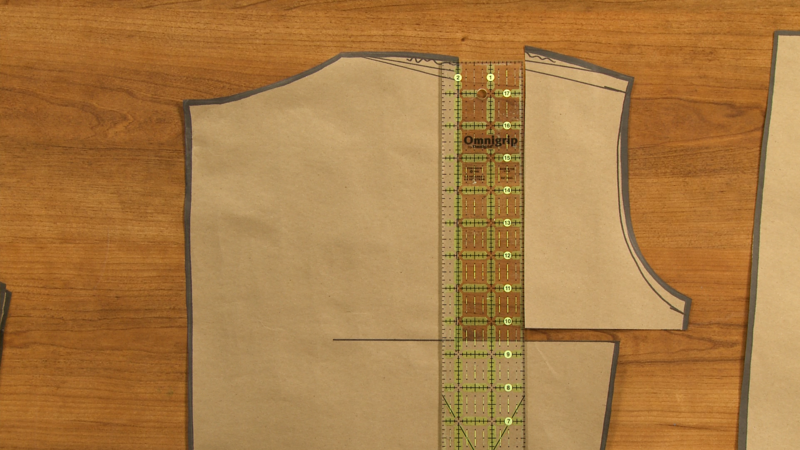 Finally, learn how to make similar adjusts for a large or small bottom on a pair of pants. In addition a PDF download is available with step-by-step photos and instructions for each pattern alteration. Q: Do I have to be a Member of National Sewing Circle to purchase a Class? A: No you don’t. While Premium Members will receive regular offers for special deals on National Sewing Circle content, Classes are not reserved exclusively for Members. If you buy a Class as a non-member, we’re sure you’d also enjoy having access to our full library of great sewing videos and articles as a Member, so give it a try. In this session you will learn about the different basic alterations that will be covered in this class, including alterations to shirt fronts and backs, sleeves, skirt and pants, as well as what tools you will need to complete them. 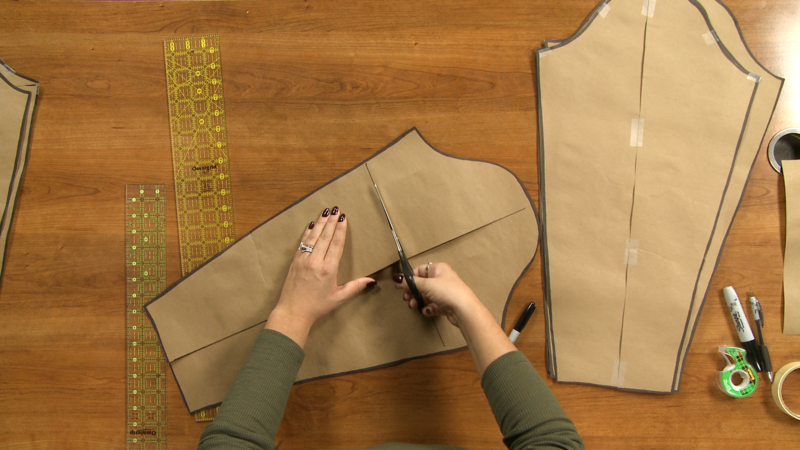 In this session you will learn how to make alterations to the front neckline of a shirt as well as the upper back area. These alterations help to fix gaping necklines as well as fit issues common with a narrow or broad back. In this session you will learn how to make several alterations to shirt sleeves. These alterations fix fit issues common with sleeves being too wide or narrow down the entire sleeve as well as sleeves that are too small in only the upper arm area. In this session you will learn how to make alterations to a pencil skirt pattern for a better fit. These alterations include how to adjust for a large or small bottom as well as a large abdomen area. 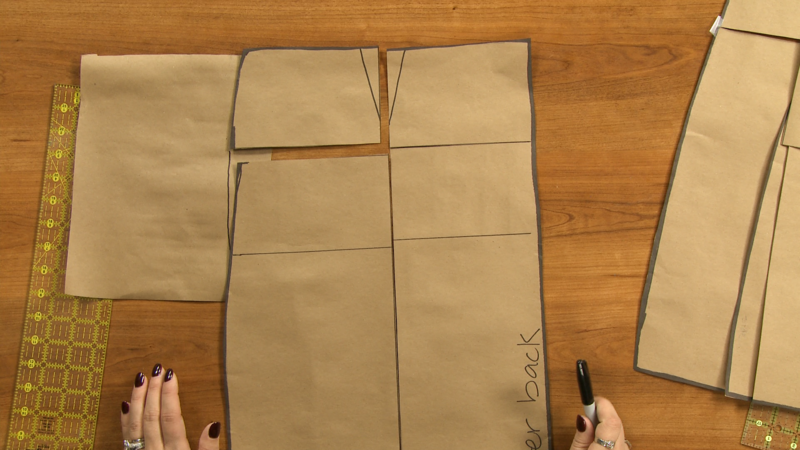 In this session you will learn how to make several basic alterations to pant pattern pieces. These alterations fix issues associated with either a large or small bottom without changing the way the pair of pants is supposed to fit on the hips.